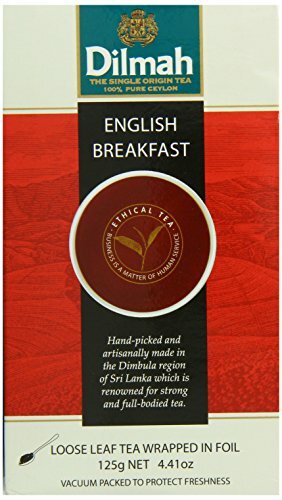 English breakfast is a delicious tea from the most esteemed growing regions of dimbula and uva. It quickly became a favourite of british tea planters, and it will appeal to anyone who enjoys a strong, pungent flavour. 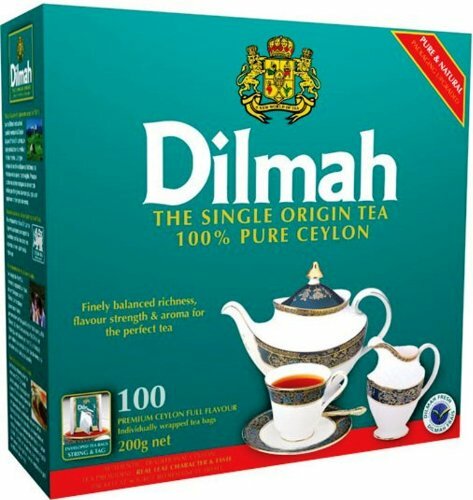 Single Origin 100% Pure Ceylon Tea Dilmah is entirely grown, handpicked and packaged in Ceylon (Sri Lanka), producer of the world's finest tea. 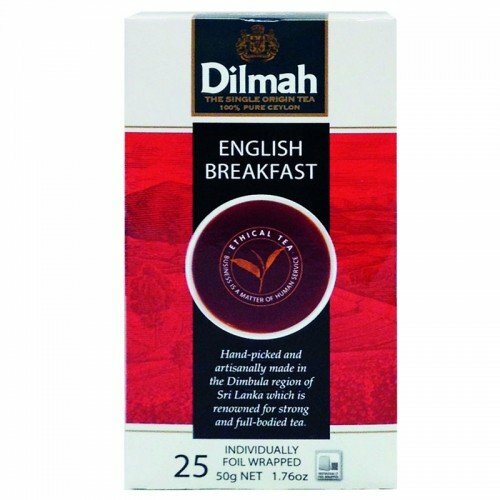 Single origin explains why Dilmah s fresher, richer and full of flavor. Discerning tea drinkers will recognize the distinct difference in the very first sip. 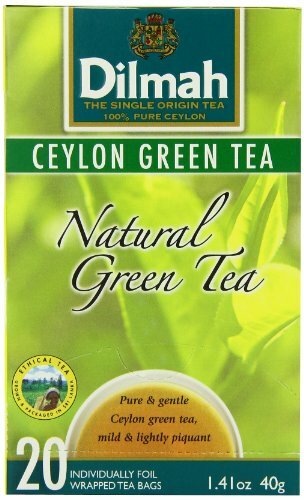 Packaged at the Source, Garden Fresh and All Natural Packaged in Sri Lanka within days of picking fresh leaf in the tea fields, maximizes freshness, the key to antioxidants in tea. Traditionally Manufactured Ordinary teas have abandoned the centuries old "orthodox" method of manufacturing for the fast track CTC (cut twist curl) method to meet demand for a quicker brew from tea bags. This sacrifices the character and real taste of tea. 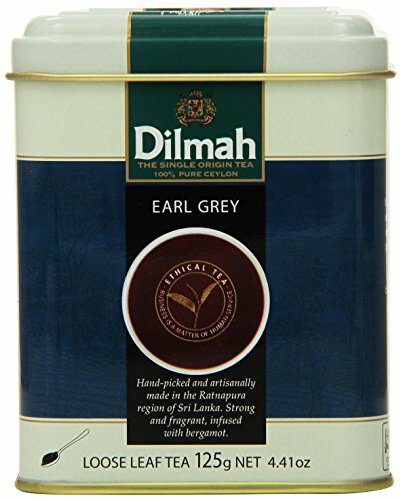 Dilmah stands firmly by traditional tea making methods, which explains why Dilmah tea tastes different. 50 Tea Bags (100g) x 2---- Five-Star Service Is Our Goal! 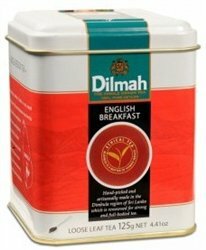 Dilmah English Breakfast Loose Tea is essence of Ceylon. A strong tea with gentleness bordered by firm character. Ideal accompaniment to strong tasting food. A creation of British farmers who pioneered the tea industry in the days of the British Raj. Rich, strong and full-bodied. Hand-picked in the dimbula valley of sri lanka. The dimbula valley consists of estates in and around talawakelle, around 1,500 meters in elevation. Tea from this region is known for the combination of strength, character and brightness, the perfect breakfast tea. 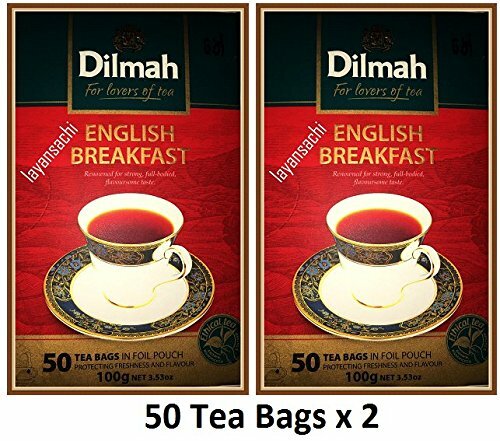 Dilmah English Breakfast Loose Tea is essence of Ceylon. A strong tea with gentleness bordered by firm character. Ideal accompaniment to strong tasting food. A creation of British farmers who pioneered the tea industry in the days of the British Raj. Product description Rich, strong and full-bodied. Hand-picked in the dimbula valley of sri lanka. The dimbula valley consists of estates in and around talawakelle, around 1,500 meters in elevation. Tea from this region is known for the combination of strength, character and brightness, the perfect breakfast tea. A deliciously satisfying pure Ceylon Single Origin Tea with flavor, strength and brightness.Finely balanced richness, flavor, strength and aroma for the perfect tea. Tea perfect for everyday drinking from the central highlands of Sri Lanka, reputed for its brightness and medium strength. A collection of eight Speciality and Green Teas in an attractively presented gift box. 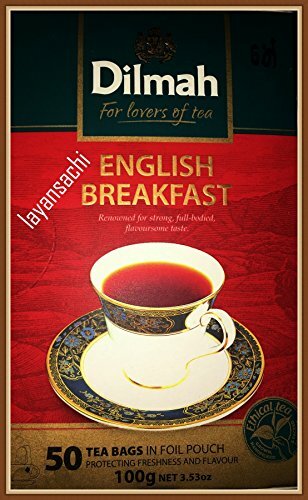 Contains six Single Region Gourmet Teas - Ceylon Supreme, English Breakfast, English Afternoon, Earl Grey, Darjeeling and Irish Breakfast and two Special Green Teas pure Sencha Green Tea and Green Tea with natural Jasmine Flowers. The perfect gourmet gift, or if you are a tea aficionado, an introduction to the elegance and enjoyment of Single Origin Tea. The collection features teas covering a spectrum of tastes, from the strong Irish Breakfast and Ceylon Supreme teas to the gentle English Afternoon and Sencha. Each teabag is individually foilwrapped, to ensure that your teas stay fresh and full of flavour right until you open the bag to brew. 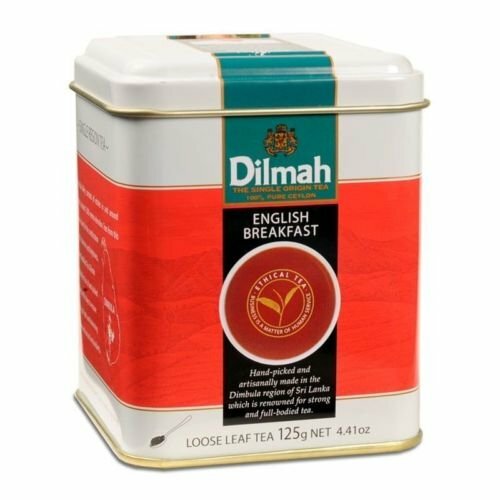 Dilmah Single Region Selection English Breakfast tea is hand-picked in the Dimbula region of Sri Lanka which is renowned for producing strong and full-bodied tea. Available now in stores. 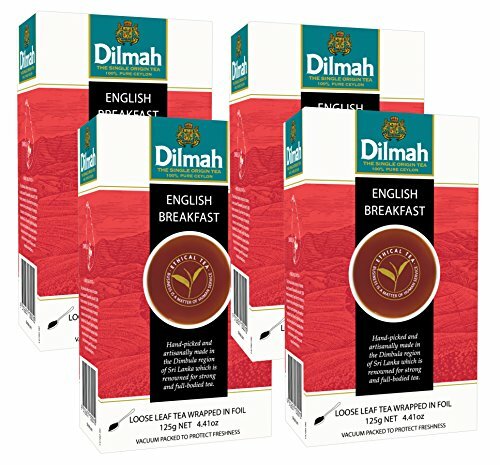 Compare prices on Dilmah Tea English Breakfast at ShoppinGent.com – use promo codes and coupons for best offers and deals. Start smart buying with ShoppinGent.com right now and choose your golden price on every purchase.